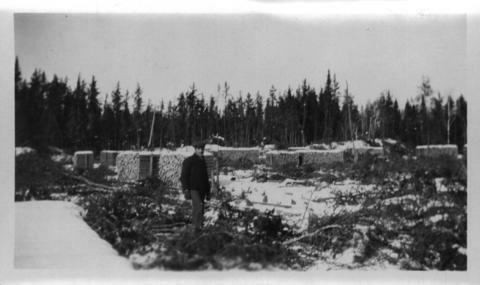 Photograph shows man standing by cut and stacked cords of wood. Date of photograph is approximate, ca. 1930.